Savoring that cup-o-joe is something many of us do each morning. But when you’re consuming your caffeine, do you ever think about how those coffee beans became the coffee in your cup? While the U.S. Food and Drug Administration says diacetyl is safe for consumption, diacetyl inhalation is suspected to be connected to a lung disease known as bronchiolitis obliterans. 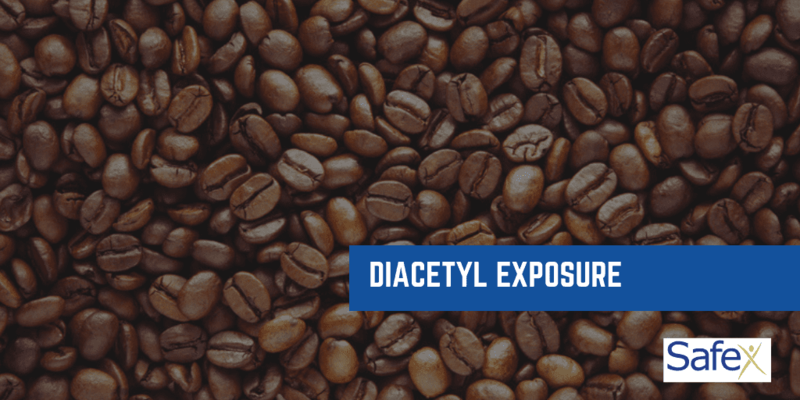 Recently, diacetyl has received media attention. You may remember hearing bronchiolitis obliterans referred to as “popcorn lung” after workers in a butter flavoring plant were diagnosed with the disease. This case resulted in several studies, including one by National Institute of Occupational Safety and Health (NIOSH). They conducted health hazard assessments at multiple coffee facilities, including roasters, packaging facilities, and one retail café where large amounts of coffee were roasted on-site. Exposures among coffee producers were found during roasting, grinding, and packaging, as well as when flavors were added. How are workers being protected? E.g., Adjustments to ventilation, such as using hoods to capture fumes where they are released or increasing fresh air intake. Or finding ways to enclose the roasting and grinding processes. E.g., Policies and practices for safe work, including training employees on hazards associated with diacetyl exposures and encouraging employees to report new, persistent, or worsening respiratory symptoms. E.g., Proper respirator use to protect against diacetyl inhalation. Half- or full-face respirators with organic vapor cartridges may reduce diacetyl inhalation exposures. Employers can use a combination of all three categories to reduce potential exposures. Concerns about worker exposure to diacetyl or other chemicals? The team of Certified Industrial Hygienists at Safex is at the ready. We perform indoor air quality assessments regularly and have the tools and knowledge to help keep employees safe and on the job. Contact us today.